Read Shawn Halbrook’s complete letter to the community here. 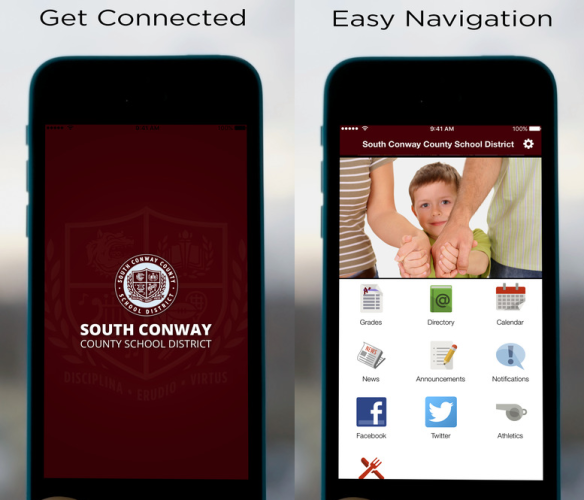 South Conway County School District, Morrilton, Arkansas, (SCCSD) is soliciting proposals from qualified local banking institutions (bank) to provide SCCSD primary banking services. The bank must provide the highest quality of services at a reasonable cost while maintaining sufficient liquidity and protection of public funds. To Love, To Serve, To Care. 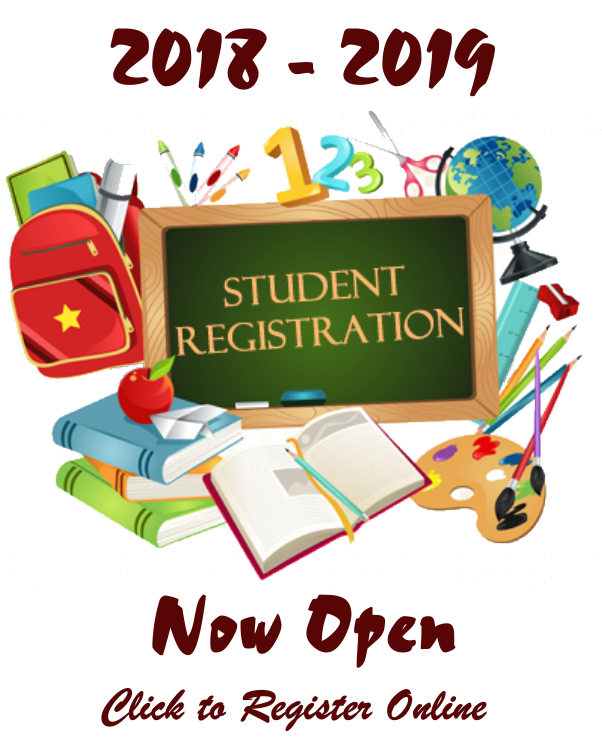 The South Conway County School District is excited to announce that the district will again be providing breakfast and lunch at NO CHARGE for ALL students during the 2018-2019 school year! 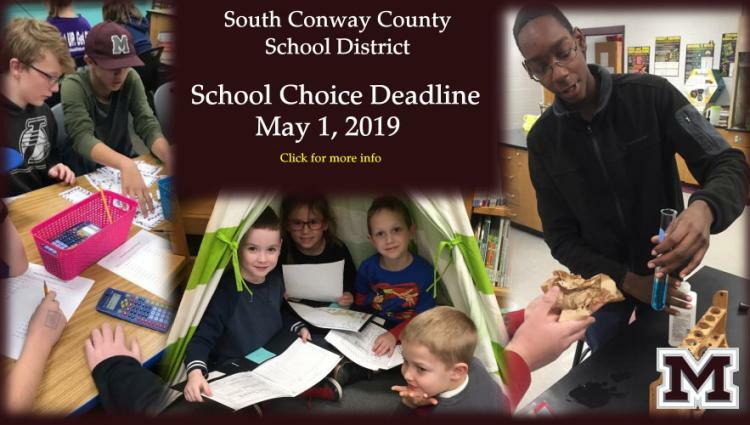 The South Conway County School District (SCCSD) is pleased to announce the district will participate in the Community Eligibility Provision (CEP) during the 2018 - 2019 school year providing meals, regardless of eligibility category, at NO CHARGE for all students at all of our schools participating in the National School Lunch Program or School Breakfast Program (this includes all schools in the SCCSD). CEP was authorized by Congress as a part of the Healthy, Hunger-Free Kids Act of 2010. This is made possible through the United States Department of Agriculture (USDA) Special Assistance Certification and Reimbursement Community Eligibility Provision. Federal reimbursement for meals is based on the Identified Student Percentage (ISP) established by the District. The information used to establish the ISP will be made available only to State and Federal officials for review. All adults, e.g., visitors, teachers, support staff members, and administrators of the district must assume the full cost of the meal which is $2.00 for Breakfast and $3.50 for Lunch. 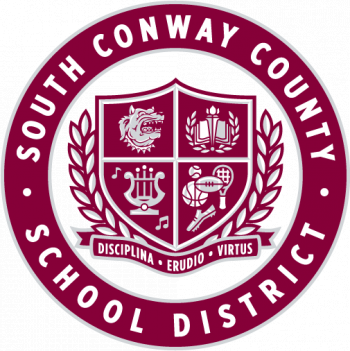 The South Conway County School District offers an outstanding academic foundation and multiple award winning extra-curricular programs and activities.  We would love to have the opportunity to show them to you.